Rock Creatures- seriously, this is the hard one to get past. For me, it was not because they were rock creatures, but because a big budget film and artistic team should come up with something less comic book. Could they be the Nephilim in Genesis 6:4? That seems like a possibility. In Aronofsky’s vision The Watchers are fallen angels who end up finding redemption by helping Noah build the ark. The Story Doesn’t Follow The Bible: Have you read the Biblical Account? It’s really short on details. Yes, only Shem has a wife in the movie where Genesis tells us that all three sons did. It does create more drama in the story. How did the animals on the ark not eat one another? Or Noah? Or the boat get filled up with animal droppings? It was jarring and unsettling to see the Ark begin to float away while hundreds/thousands of people cling to life outside. Noah’s family gathers together as you can hear the screams of those who will die. This is the dark side of the flood account. Everyone dies except Noah’s family. Aronofsky did an excellent job of making that powerful point. Noah retelling the Creation account on the Ark was one of my favorite parts of the movie. Visually captivating. I loved the drama of Noah going mad on the Ark. Noah believes that God is punishing all of humanity and that his family has been chosen to save the animals and he believes that his family will die off. This is the task he has been chosen for (or so he thinks). This is what drives him to nearly kill his grandchildren rather than seeing them as a gift. Noah wrestles with depression and despair. He wrestles with the God of judgement and the God of grace. I thought the bit with the snakeskin was weak. Others have written that its Gnostic. It was a part that I would’ve left out- but let’s remember- Noah was not a Christian. He was not even Jewish. Did he listen to The Creator (in the movie)/God? Yes. Was he possibly Animistic at this point? Possibly. There is a reason that Israel struggles for so long to get rid of idols and false gods-because they were coming out of a culture that worshipped multiple gods and becoming a people of the One True God. Too often we impose our 21st Century Western Christianity on the Ancient World. After seeing the movie and reading many, many blogs (more than I should have) I have two thoughts to share. First- Christians need to lighten up. It’s a movie. We love our Veggie Tale version of Bible Stories to show our kids. I hate to break it to you, but Veggie Tales is not a literal word-for-word retelling of Bible Stories. But we give them a pass. 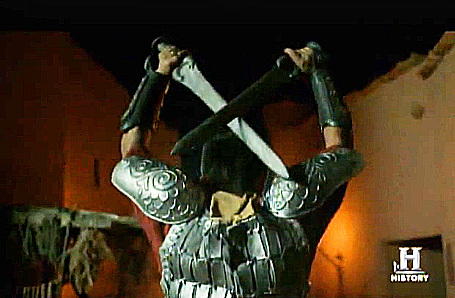 Even The Bible Miniseries was not word-for-word and had some interesting interpretive choices (i.e. Ninja Angels, yet another white Non-Jewish Jesus). But we give them a pass because they are targeting at Christians to make us feel good about our faith. 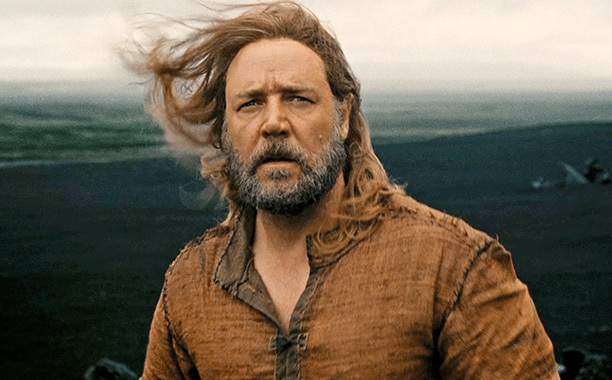 What the movie, Noah, did best- and you had to wait until the very end- is remind us that it is a story of a second chance. A new beginning. Noah, still struggling with judgement and depression becomes a drunk. He speaks with Shem’s wife about this new beginning they’ve been given. Noah sobers up and reconnects with his wife and his family. Without saying it, Aronofsky reminds us that the story of Noah is not meant to be a literal account of how a boat was built, or how animals fit on the ark, or whether or not there were Rock Creatures- it’s an account of a second chance in the midst of our sins. As Christians, we should embrace that message- especially as we approach Easter Sunday and are reminded that Jesus went to the Cross to take on all our sin. Our unrighteousness. We have been given a new life through Jesus. The question is whether we will embrace that second chance or let it float by while we try to save ourselves. Did you see the movie? What did you like? What fell short? Have you had any good conversations about the content of the movie and the content of the Biblical account? This entry was posted in Uncategorized and tagged grace, Judgement, Movie review, Noah. Bookmark the permalink. I like your account of the movie. I think that there is depth in the creative license that is taken. And maybe the whole thing with the rocks is because there is such a link between man and nature/creation? But I really liked the film. And I also loved the creation story, definitely using that in some lessons and talks! Thanks for the comments Melanie. This should generate good discussion and youth group and beyond and the opportunity to encourage students to open up their Bibles and read the story for themselves.